"As a hip and knee replacement specialist, I am privileged to have the opportunity to restore people’s function and alleviate their pain." Dr. Boghosian is a fellowship-trained orthopedic surgeon, specializing in adult primary and revision joint replacement of the hip and knee. He tailors individual treatment plans for all of his patients with the goal of restoring function and relieving pain as quickly and completely as possible to improve quality of life. Dr. Boghosian completed his fellowship training at the world renowned Cleveland Clinic, where he gained extensive experience in minimally invasive techniques to treat osteoarthritis of the hip and knee. He completed his orthopedic surgery residency at South Point Hospital, also a Cleveland Clinic Hospital, where he served as the Chief Resident. 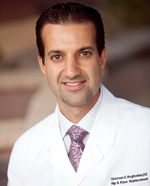 Dr. Boghosian obtained his medical degree from Lake Erie College of Osteopathic Medicine and his bachelor’s degree from San Diego State University. While at the Cleveland Clinic Foundation he trained in utilizing minimally invasive techniques in hip and knee replacements, such as direct anterior hip and sub-vastus approach to the knee. He became proficient at computer navigation to reconstruct joints, hip arthroscopy, and other joint preservation techniques. Most importantly, he gained valuable experience in managing revision cases for patients who have complicated failed hip and knee replacements. He continues to remain active in academia, local leadership and his community. Dr. Boghosian frequently holds lectures and seminars in an attempt to educate the community about arthritis and other related ailments. He also enjoys invitations to national orthopedic seminars where he lectures to fellow orthopedic surgeons about his specialty. He is a member of the American Osteopathic Association (AOA), American Osteopathic Academy Orthopedics (AOAO), American Academy of Orthopedic surgery (AAOS), and The American Academy of Hip and Knee Surgeons (AAHKS). Dr. Boghosian takes a very personal approach to treating his patients and strives to return patients to activities that are important to them. 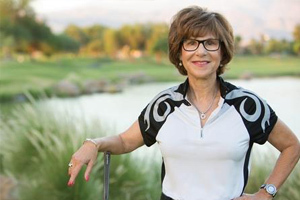 Palm Desert psychotherapist Barbara Kreedman, PhD, LICSW, is an extremely active individual who plays golf, practices Pilates, swims and is an avid walker. But starting in June of 2014, the 65-year-old was sidelined for months by what she thought was a painful groin pull. “I took a holistic, chiropractic approach to treatment at first, but the pain didn’t go away,” she relates. “I finally talked to a friend who said, ‘It’s your hip that’s causing the problem’ and suggested I see Dr. Boghosian,” she continues, referring to Ghassan Boghosian, DO, a Board Certified Orthopedic Surgeon at Eisenhower Desert Orthopedic Center.